People all across the country head to the lakes, pool, and beach each summer to have fun and cool off. Many of those people also take with them a flotilla of toys and rafts to play with. A new concept has turned up at Yanko Design that may well be the coolest water toy ever. 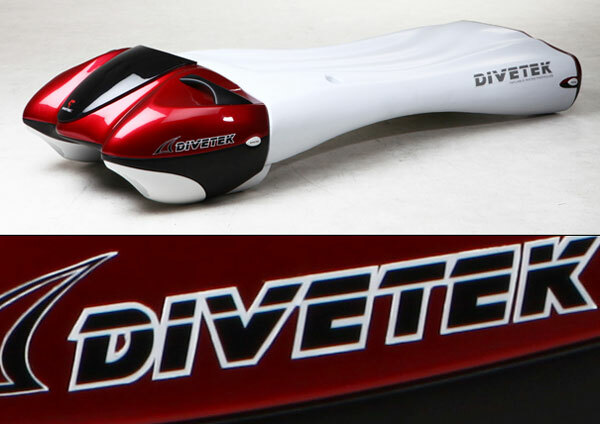 The concept is called Divetek and it has two different ways it can be used. The first way is by inflating the white section on the back that acts as a raft. You can then use the propeller on the front maroon section to pull you around the water. If your tastes are more underwater, you can deflate the raft and then the fun really starts. The concept will pull you along under the water like one of those things divers use to get around. This is a cool concept that is better suited to clear water in the ocean than the dirty water around the Texas beaches.